The CrossDresser is a one-click clothing conversion utility for Poser and Daz Studio that will convert clothing from one figure to another. This process is completely automatic, and when complete, the converted clothing is placed directly in your Poser runtime libraries, ready to use. Most clothing will convert nearly perfectly. The CrossDresser also provides easy-to-use features to fix any minor poke-through that may occur. Convert clothing from any currently supported figure to Bong. You only need a license for the figure you want to convert clothing to. 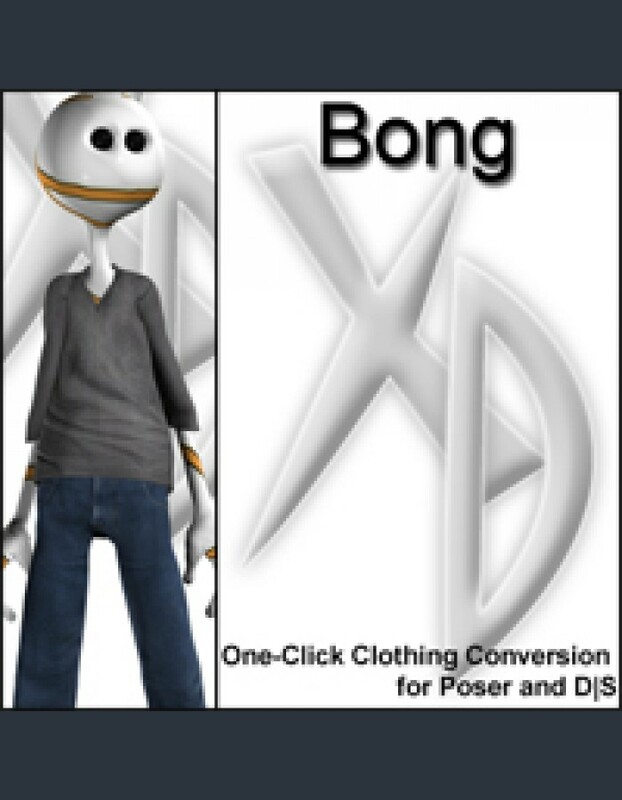 For example, if you have an Aiko 3 clothing that you want to convert to Bong, you only need to buy the Bong license. You do not need to buy the Aiko 3 license. Converting clothing from a figure is always free. This way, if you have one favorite figure that you always like to use, you only need to buy one license, and then you can convert clothing from anyone to your figure. Distribute any converted clothing you create via the CrossDresser, as long as you own the copyright to the original clothing, or you have the copyright owner's permission. 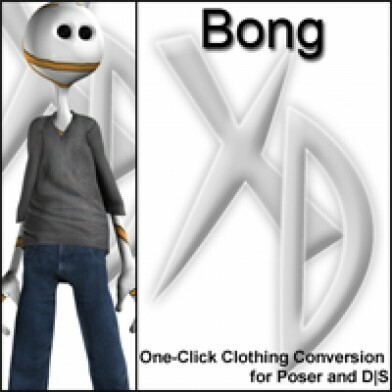 Use clothing converted to Bong with the CrossDresser in any personal or commercial renderings or projects. Be sure that you visit the CrossDresser homepage, and download the most recent version of the program. If you don't see Bong in the "From" dropdown box on the main window of the CrossDresser program, then you will need to upgrade before installing the figure license for Bong.